Social media is a great platform that you can use to promote your business, products, and services effectively within a few clicks. It has emerged as one of the most advanced techniques that allow you to put your brand on multiple marketing platforms. In fact, there are tons of overwhelming social media websites that can help you showcase your products and services to a large number of people on the fly. Among these platforms, LinkedIn is the one of the most influential forum for e-marketing. 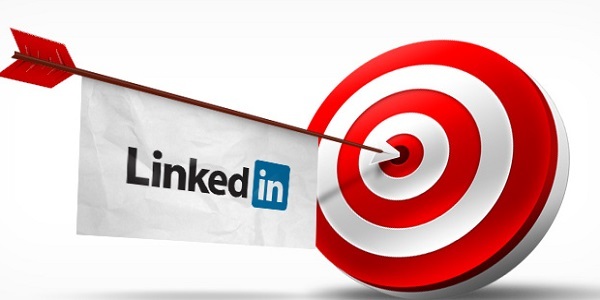 You can use LinkedIn to market your business with the aim to generate quality leads. In this blog post, we will explore the tips that can help you use LinkedIn for your business marketing purposes. You should create an official page for your business if you want to promote it on a LinkedIn platform. It reflects your brand and also leaves a positive impression on visitor’s mind. You can create a separate page for your business. This is the best way to drive the attention of visitors to your company. The page should look professional, and visually-appealing. You can also hire an expert who can help you create the quality page for your business. Descriptions play a key role in giving your visitors a glance of information about your company, services, and goals. This will help them decide whether they want to continue or not. Adding quality content about the introduction, and services of your business is always an intelligent decision. Also, create a complete profile about your company on the official page of your business. A quality and engaging profile of your brand will provide you the best results in terms of sales and revenues. Convert your LinkedIn users into potential customers by adding creative, engaging and attractive content to your profile. You can embed high-quality videos, images, advertisement to give a spice of entertainment to your visitors. You can create a video about your company or use beautiful images to grab the attention of more and more users. This will take your brand to the higher level. If you are using LinkedIn, then you should connect with the people who can help increase your circle. You should connect to the customers that can help you add more and more customers. Among these customers, there will be many who had been searching for your company on LinkedIn. They will share and promote your brand too. You can also add new users and also accept invitations from the unknown people. LinkedIn allows you to use business associated applications for effective online marketing. There are many apps that will allow you to promote your business message to a large number of users with ease. These apps help you attract thousands and millions of customers across the globe. All you need to do is to visit the applications section to your profile and check which apps are available for you on LinkedIn. LinkedIn is an ideal social media platform. It allows you to promote, share and spread your business message, brand, products and services to a large number of users all around the world. You can follow these tips and empower your online marketing techniques.